"Vibrational" Science is nothing less than the quest for harmony. String theory, quantum physics why are they so useless to us? Because we don't attempt to resolve issues but would rather batter them out of existence! The non-renewable versus sustainable resource base issue (it's rarely a "debate"), shows this far too clearly. 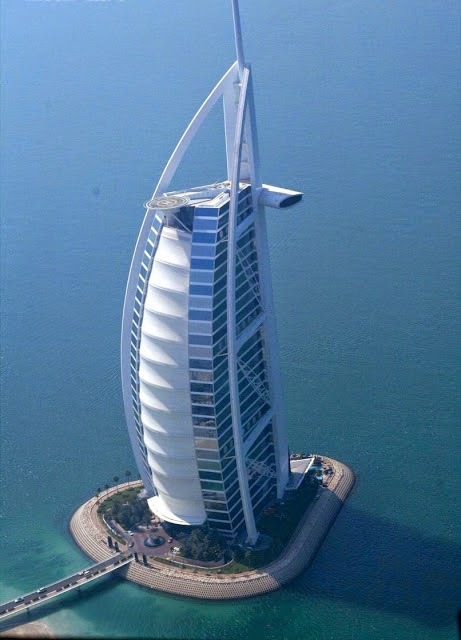 Take for instance the "Burj Al Arab"; situated on an island in The Arabian Gulf this "magnificent" piece of British engineering offers the "ultimate" in luxury accommodation for its' Seven (? 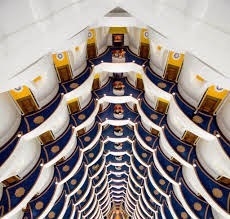 ), Star guests; fountains, spas, a helicopter pad (which also doubles -?-, as a tennis court), the usual luxury restaurants and a fully integrated communications and entertainment system replete with the latest "connective" technologies. What however do all these systems rely on to produce the vast amounts of energy consumed by the establishment? Oil of-course (and what easy words those are!). Blessed with a virtually unlimited solar profile, whipped by winds which have meant that the hotel has been designed to resist stresses to it's structure which are unknown inland and with it's foundations upon a honey-combed "island" constructed of open hexagonal blocks designed to allow the waves and tides to harmlessly pass through its' base all of which could be utilised to power the buildings systems Tom Wright (the British architect responsible), chose to eschew such irrelevances and design a building which glorifies the massive consumption of our non-renewable resources. ..one is therefore lead to the conclusion that the building is not in harmony with it's environment, as witnessed by the fact that it's construction coincided with the recent crash in the stock markets (which -again-, of-course had nothing to do with the rapid disappearance of our non-renewable resources!). The Channel Tunnel has similar problems but it's problems go deeper, I was given to understand at the time that certain ancient sites ("A.S.A.R.U" - "Areas of Significant Ancient Religious Use"-, see: "What's that Coming Over the Hill? "), were disturbed if not destroyed around Dover during the initial phase of The Tunnel's construction (I haven't been able to locate any reference to this online if anyone does have any information regarding the matter please Tweet "Abaris" @ Williamtheb or post a comment here), and as referred to in my previous post on this blog eight British and two French construction workers were killed during the construction of "The Thatcher/MacGregor Tunnel". My research leads me to be believe that a bridge is the only viable solution to The Channel crossing issue!